Graduate student Filip Bošković received the Serbian Svetosavska Prize in recognition of his ‘innovative work and research’ during his undergraduate degree. 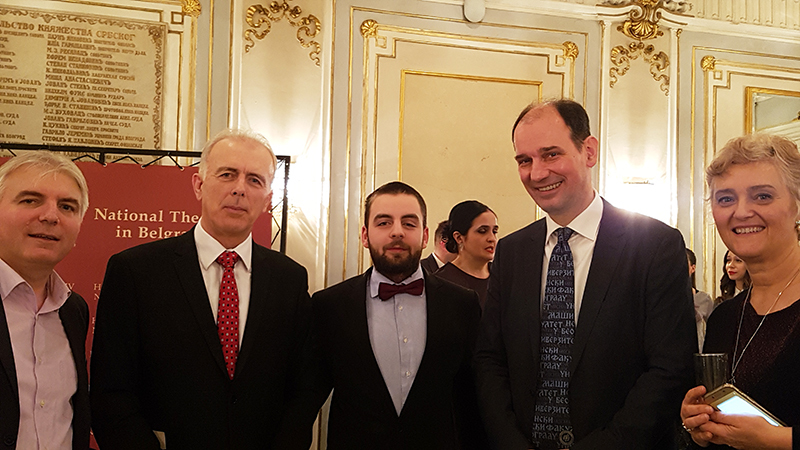 At a ceremony in Belgrade Bošković, who is now studying for an MPhil in Physics at St John’s, was presented with the award by Mladen Šarčević, the Minister of Education, Science and Technological Development. Bošković was nominated for the prize by the Faculty of Biology at the University of Belgrade where he studied for a BSc in Molecular Biology and Physiology. During his time there he published three papers and graduated with a final grade of 9.91 – the equivalent of a high First. 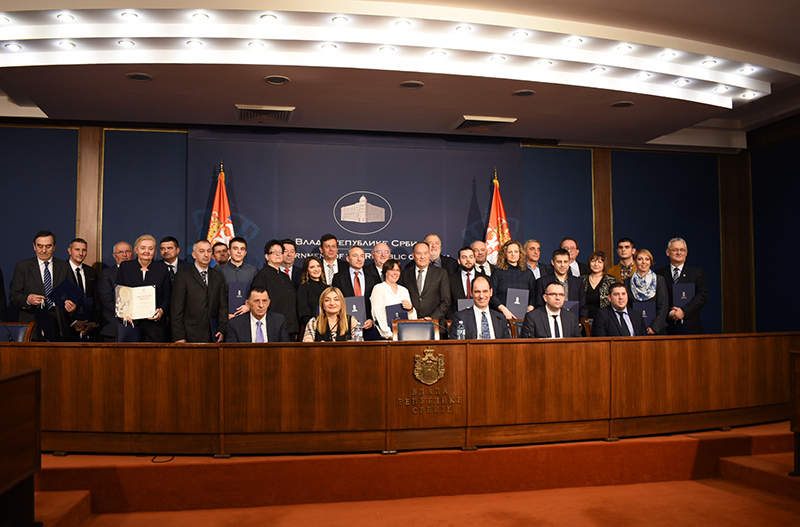 Svetosavska prizes are awarded annually in Serbia to individuals and institutions for outstanding educational achievements. The prizes are highly competitive – this year 27 winners were selected from more than 230 applicants. They are named after St. Sava (Sveti Sava), the first Archbishop of the Serbian Church and the patron saint of Serbian education. The first Svetosavska Prizes were awarded nearly 200 years ago in 1833 under the name the ‘Order of St Sava’. Previous winners include inventor and engineer Nikola Tesla and political activist Helen Keller.